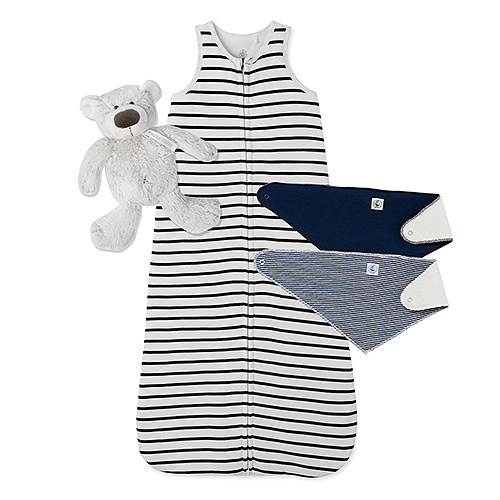 Crafted in soft rib sporting Petit Bateau's beloved sailor stripe, this baby sleeping bag stands out for its extremely generous size. 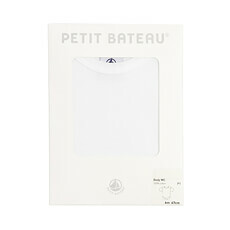 It features a trim at the neck and armholes along with a very practical central front zip opening. 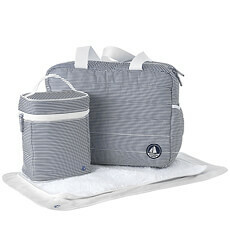 Its large size means that it can fit babies up to the age of 24 or 36 months, depending on their size, so your toddler can also stay warm and cozy during cold nights. 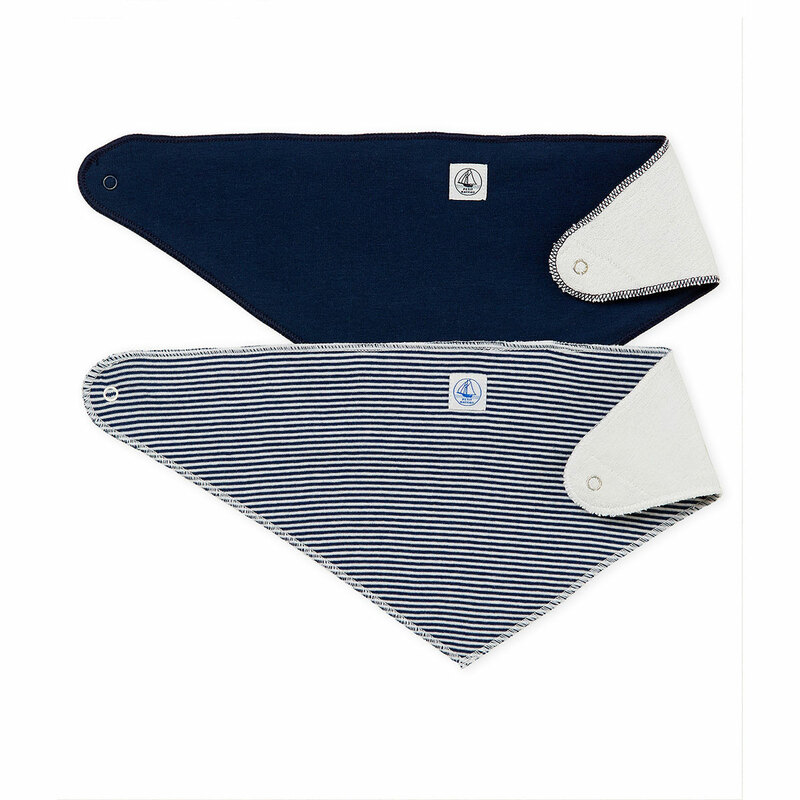 A duo of bibs in stripes and solid are an essential for all little ones. 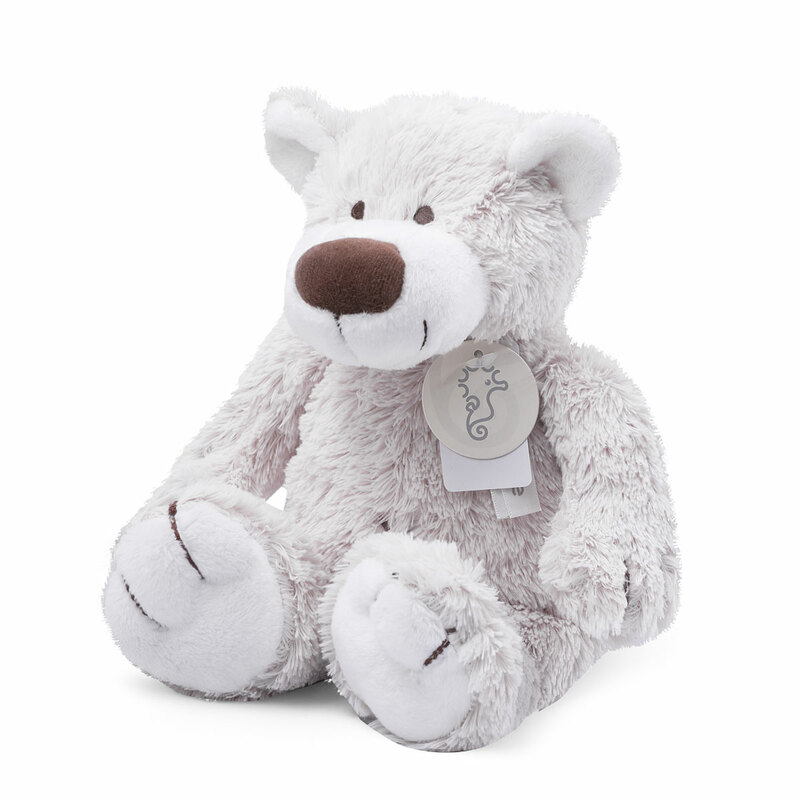 Baby will sleep soundly with this cuddly friend: "Baggio" by Happy Horse is a warm-hearted bear with a charming face. Happy Horse creates all its products in accordance with the highest European safety standards, backed with a CE safety label. 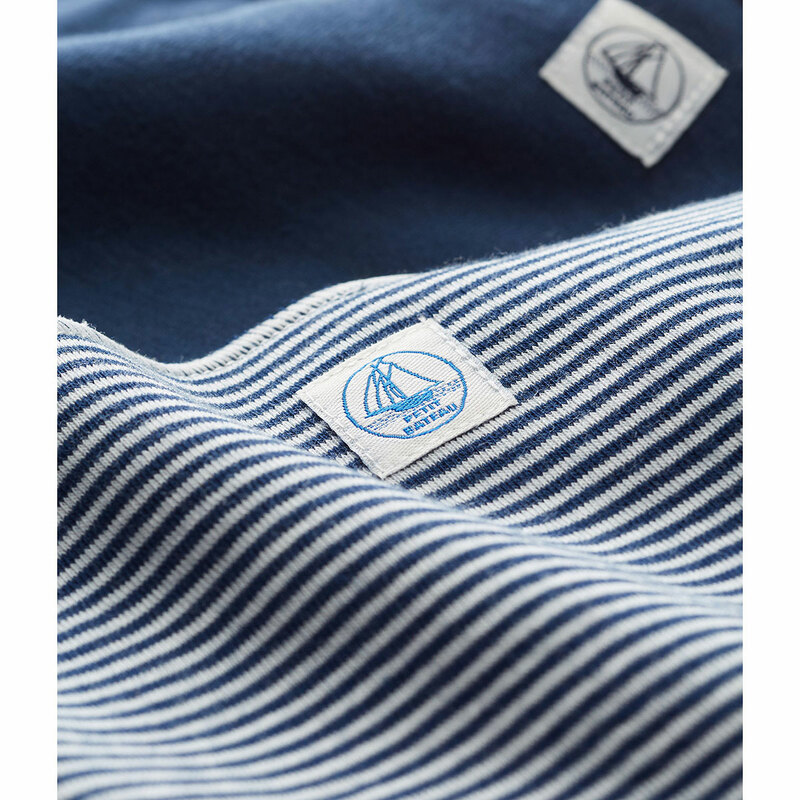 And it's machine washable!